I haven’t done one of these in God knows how long. 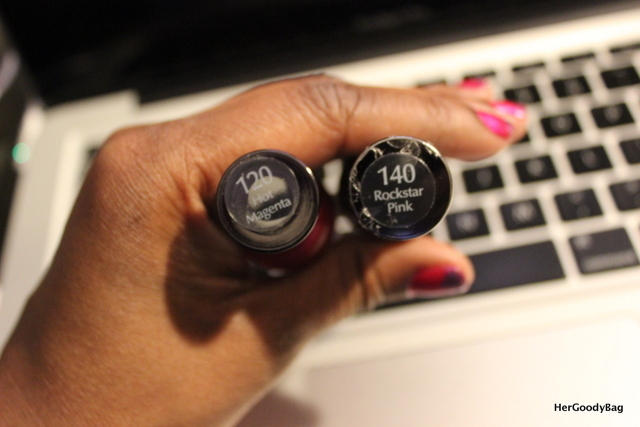 I am going to commit to at least 2 Mani Monday’s per month. That’s a start. For this week I decided to break out the hot colors for spring. I know Spring doesn’t officially arrive until Wednesday hey, I’m a little impatient. 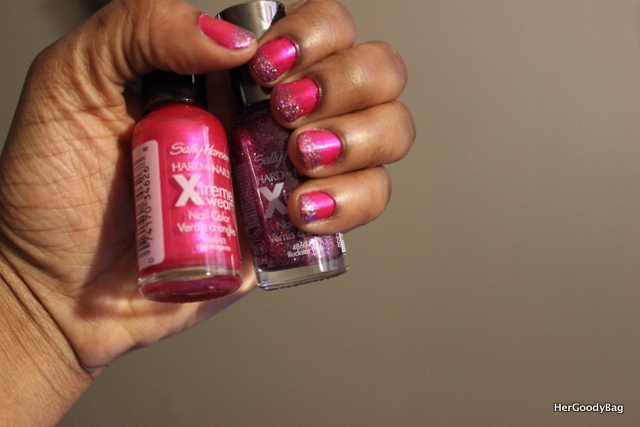 I chose to do a glitter tip mani with “Hot Magenta” 120 as the primary color with “Rockstar Pink” 140 as the glitter tip from Sally Hansen’s Xtreme Wear Line. 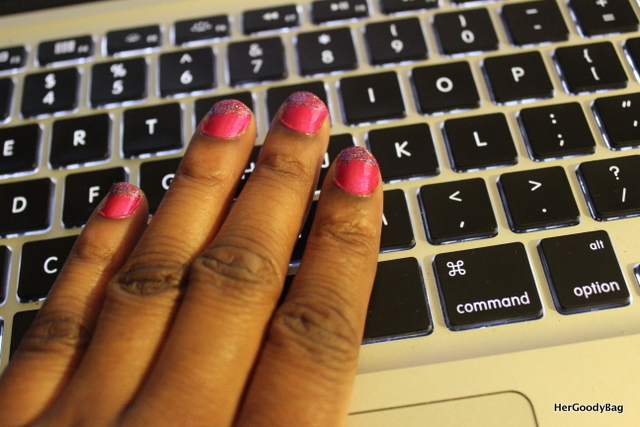 I topped it off with Sally Hansen Insta-Dry top coat. 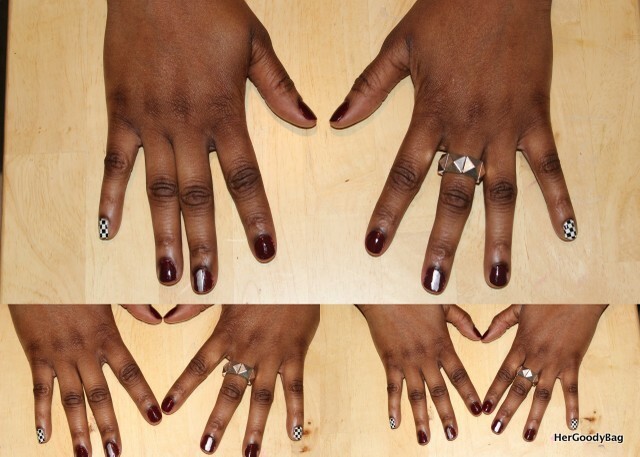 I have a secret to tell you, I have a love hate relationship with my nails. When I say I have a love hate relationship I mean that I love how my nails look when they are freshly polished, but I hate polishing them. 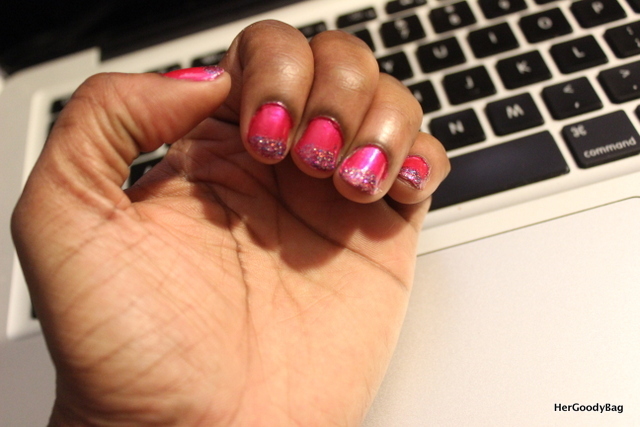 I have the shakiest hands that you could ever imagine (thank God for nail strips). 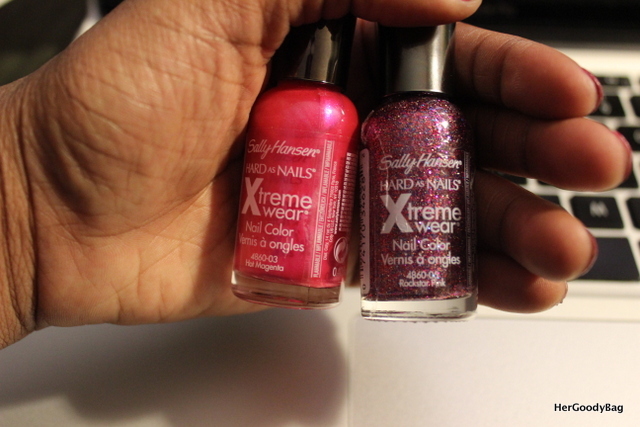 I have tons of nail polish and thanks to Sally Hansen my collection just grew even larger. Every Sunday I said I would paint my nails for the week. That lasted for about a month and my motivation quickly started to fade. 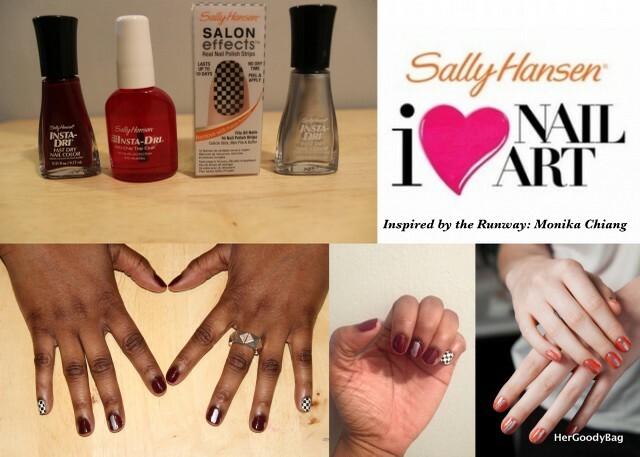 So I was excited to see the Sally Hansen I <3 Nail Art Contest. Now in no way shape or form am I some fancy nail artist. I can barely draw a straight line or even polka dots (smh), but I thought it would be fun to partake in the challenge. So for the month of March the theme is “Inspired by the Runway.” I went on a massive Google search and found something that was simple enough for me to do and add my own little twist! I chose the Modern Racing Stripes spotted on the hands of the lovely models for Monika Chiang during New York Fashion Week Spring 2013. 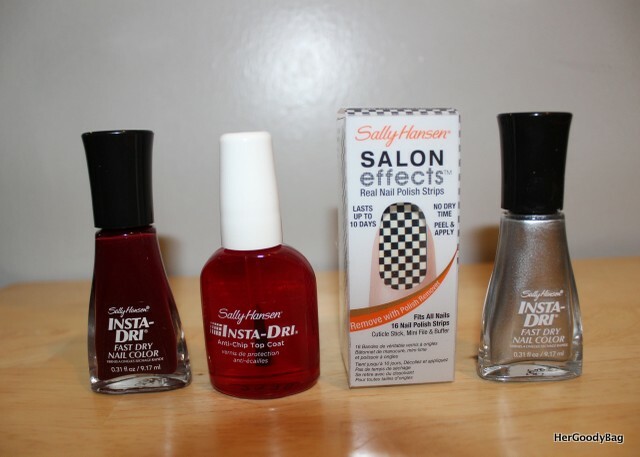 I didn’t want to get too fancy and put a silver strip on each nail so I opted for the Check, Please! nail strips as a symbol for the end of the race when someone waves the checkered flag. For an amateur, I think I did pretty well!